With this costume set from California Costumes, you can choose between two inspiring women for your Halloween night! This set includes a long black dress, plus interchangeable lace and ruffled collars, removable lace sleeve cuffs, and a cameo brooch. 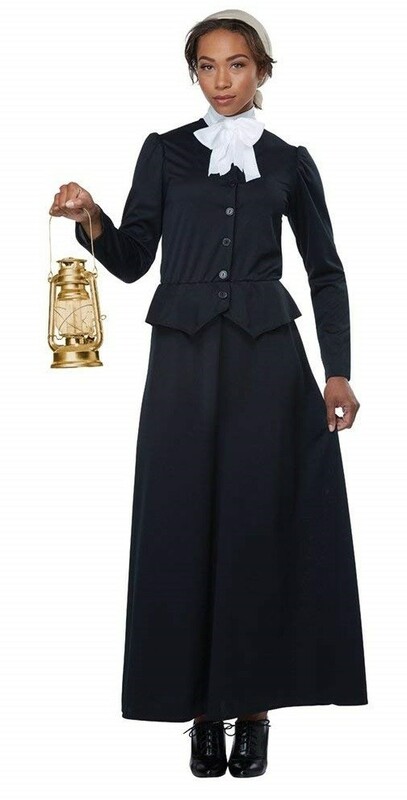 Whether you're paying tribute to Harriet Tubman and her courageous work to abolish slavery, or Susan B. Anthony and her tireless work for women's suffrage, it's a costume you'll feel proud to wear.